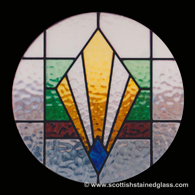 The biggest benefit of working with our custom stained glass team is that you’ll be able to choose the perfect style for your home without limitations! 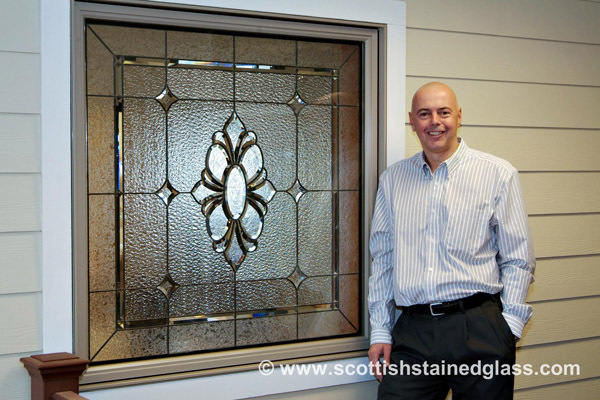 Big box stores often sell a limited amount of styles for their mass-produced stained glass windows, but we understand that every homeowner wants something unique for their home. Don’t settle for something that isn’t completely perfect for your home! When it comes to style, we understand that every homeowner is different. That’s why our process begins with an in-home consultation with one of our expert designers. We’ll take this time to get to know what’s important to you, and we can offer recommendations on styles that will fit perfectly into your home. 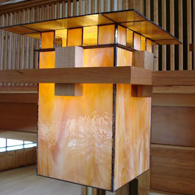 Wright was largely influential to what we consider contemporary design today, and windows inspired by his work often incorporate straight lines, geometric shapes, and splashes of earth-tone colored glass. Mission style is similar to Frank Lloyd Wright’s designs. It also includes straight lines, geometric shapes, and frequently used chevron-type leadwork. 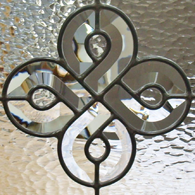 Mission styles are often relatively complex with many pieces of glass incorporated into the window. 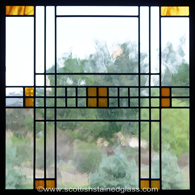 Art Deco is another modern style for leaded glass windows. Also relatively complex, Art Deco often uses brighter colors, and sun-inspired designs are common. As opposed to some of the other modern designs, this style is typically completely symmetrical. This style is the earlier counterpart to Art Deco, and incorporates a great deal of curvature and floral-inspired aspects of design. 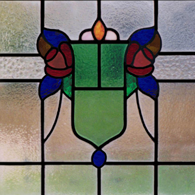 This style also frequently uses colored glass, but does not have to. We have the ability to create these traditional knots in two ways- the first with custom beveled clusters to create a vibrant, sun-reflecting design. The second is to simply used cut glass, which opens up your options for texture and color. 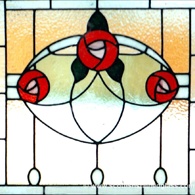 The Mackintosh Rose is one of the most widely known and loved images in stained glass. This is typically a simple, round rose design using floral colors. We have the ability to recreate this style in new windows. If you have any questions about our custom design process, or if you’d like to schedule a consultation with a designer to go over the possibilities for your home, give us a call or send an email today! Installation is simple, and our experienced staff will help you get started right away.